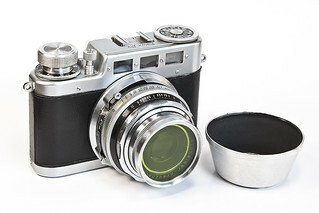 The Diax is a series of 35mm viewfinder and rangefinder cameras made from 1947 to 1957 by the company Walter Voss based in Ulm/Donau (Germany). A characteristic model is the Diax Ia for interchangeable lenses, with 3 different viewfinders in the top, each in a different color: blue for 35mm lenses, yellow for 85 or 90mm lenses and neutral for 45 or 50 mm lenses. 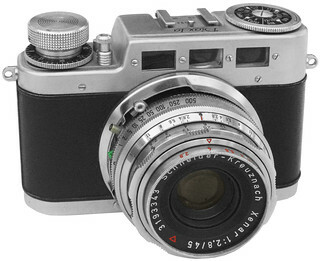 The Diax II, Diax IIa and Diaxette models are rangefinder cameras. The 'b' models are like the 'a' models, but with rapid film advance lever instead of a knob. This page was last edited on 2 February 2017, at 05:19.